Flashback to a decade ago. Southern Miss and Houston finished tied atop the newly formed Conference USA. Houston owned the tiebreaker thanks to their head to head victory over the Golden Eagles and went to the Liberty Bowl. Southern Miss was forced to stay home for the holidays despite their 8-3 record and road victory over Georgia (their other two losses came at Alabama and Florida State). With the glut of current bowl games, both schools will be participating in the postseason. Since that inaugural 1996 season, Southern Miss has been a consistent player in the Conference USA race—winning championships in 1997, 1999, and 2003, posting a winning record every season (including this season’s 8-4 mark), and participating in 8 bowl games. The constant in that span has been head coach Jeff Bower. 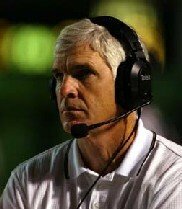 In fact he’s been with the program since 1990 and if he’s not careful, he could become more synonymous with Southern Miss football than Brett Favre. It’s been a different story for the Houston Cougars. They have yet to add a second championship to their ledger, finished with a losing record 6 times, and played in only 2 bowl games. In fact, as recently as 2001, the Cougars finished winless. 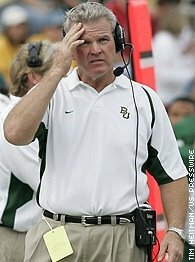 Things changed in 2003 when Houston hired head coach and former Cougar player Art Briles. Briles was an outstanding high school coach, who won 4 state titles in football-crazy Texas. In 2003, the Cougars, coming off 3 consecutive losing seasons, finished 7-6 and participated in the Hawaii Bowl. They slumped to 3-8 in 2004, and then improved to 6-6 with a Fort Worth Bowl appearance in 2005. This is by far Briles best team at Houston. The Cougars are 9-3, with a 3-game losing streak sandwiched between an opening 4-0 start and a closing 5-0 salvo. The three losses were all by 4 points or less. They lost by 1 to Miami in the Orange Bowl, by 3 in an inexplicable home loss to Louisiana-Lafayette, and by 4 at Southern Miss. Checking out the box score from October 14th reveals a very closely contested (not surprising given the final score). Houston out gained Southern Miss by about 50 yards and both teams turned the ball over once. However, one play early in the game helped Southern Miss take an early lead and played a huge role in the games outcome. On a fourth down play late in the first quarter from their own 31-yard line, Houston long-snapper Norby Juist snapped the ball over punter Justin Laird’s head. Laird tracked the ball down some 30 yards later at his own one-yard line. Southern Miss took over at the one-yard line and in short order made it 7-0. Had Laird been able to kick the ball out of the endzone, instead of recover it at the one, the outcome of the game could have been quite different. This game should come down to the play of the two quarterbacks. Houston’s senior quarterback Kevin Kolb had a terrific season throwing 25 touchdowns and just 3 interceptions while completing over 68% of his passes. On the other sideline, Southern Miss quarterback Jeremy Young is not quite as accomplished a passer (11 touchdown passes, 5 interceptions, 57% completion percentage), but is still a solid quarterback. Prediction: Houston lost the first game thanks to a high snap on a punt and the Golden Eagles' homefield advantage. The neutral site and advantage at the quarterback position should allow Houston to win their second Conference USA championship. After last season, it appeared Frank Solich could be destined to follow the Fred Akers/Ray Perkins career path after getting canned by Nebraska in 2003. The Ohio Bobcats struggled through yet another losing season in 2005 (their 8th in 9 years) and actually saw their point differential decline from 2004 (-144 versus -50), though their record remained the same (4-7). The Bobcats did eke out a signature win on national television against Pitt, but other than that signs of progress were few and far between. Last season the Bobcats were less offensive than an episode of The Waltons as they averaged a mere 17.5 points per game. Their quarterbacks, led by Austen Everson managed only 6 touchdown passes and completed a scant 45% of their passes. The running game was solid averaging nearly 4.5 yards per rush while being led by Kalvin McRae and his 1100+ yards (5.5 per attempt). The defense did not contribute much towards winning either allowing 30.5 points per game. Opposing quarterbacks completed nearly 63% of their passes and averaged over 8 yards per pass. They held their own against the run allowing only 4.3 yards per rush. Special teams were both good and bad. Ohio returned both a punt and kickoff for touchdowns on the year, but also allowed two of each. Plus their kicker only converted on 4 of 9 field goals on the year (Matthew Miller was 3of 4 while Brooks Rossman was 1 of 5). This season has been a different story as the Bobcats have reeled off 7 straight victories en route to a 9-3 regular season. Two of their losses were non-conference tilts on the road against Rutgers and Missouri, and the other was an early season home loss to Bowling Green. The Bobcats also beat another BCS school this season, narrowly edging Illinois in Champaign 20-17. How have the Bobcats done it? For starters the offense has improved, scoring 21.6 points per game. Their quarterbacks, again led by Everson (a senior) are completing over half their passes (55%). The touchdown total is still low (8), but so is the interception count (11). The running game has regressed a bit, averaging only 4.2 yards per rush. McRae again has over 1100 yards, but only averages 5 yards per attempt. The real difference for Ohio is their defense. The defense has allowed only 16.2 points per contest. If we remove the two games against Rutgers and Missouri, that number drops to 13.9. Opposing quarterbacks completed less than half their passes (49.8%) and are averaging only 5.3 yards per pass. Those are dramatic improvements from 2005. The run defense has also improved allowing just under 4 yards per rush. Special teams have also improved. The Bobcats have brought one punt back for 6, and have allowed no special teams touchdowns on the year. Their kicking game has also improved. Kicker Matt Lasher has converted 12 of his 17 field goal attempts. The team on the other sideline tomorrow night has also improved significantly from last season. Central Michigan is also led by a coach who achieved great success at another school. Brian Kelly spent 13 seasons at Division II Grand Valley State and won 2 national titles. He joined the Chippewas prior to the 2004 season and his teams have shown improvement each year. They were 4-7 in 2004, 6-5 in 2005, and are currently sitting at 8-4. 3 of the Chippewas 4 losses this season have come to BCS schools. They fell at home to Boston College 31-24 at home on the opening Thursday of the season. The following week they lost to Michigan in the Big House, and in late September they lost a shootout at Kentucky by 45-36. Their only conference loss came 2 weeks ago at Northern Illinois. The Chippewas are a very different team from the Bobcats. Central Michigan depends on its offense, not its defense to win games. The offense scores nearly 30 per game (29.5) and allows exactly 24 per contest. Led by freshman quarterback Dan LeFevour, the Chippewas have a passing attack Ohio can only dream of possessing. Chippewa quarterbacks have completed nearly 62% of their passes and have more than twice as many touchdown passes (24) as interceptions (10). Their running game is much like Ohio’s (though not quite as good), solid if unspectacular, but features more of a committee approach than a featured back. On defense, the Chippewas are good against the run, allowing only 3.8 yards per rush, but are routinely gouged by the pass. Opposing quarterbacks have completed over 61% of their passes and nearly doubled up their interceptions (12) with touchdown passes (24). On special teams, Central Michigan is pretty awful at punt returns (under 6 yards per return compared to over 14 for Ohio), but pretty good at punt coverage (allowing under 5 yards per return). They have run a kickoff back this season and have converted 10 of 16 field goals. With both teams having accepted bowl bids (Ohio to the GMAC and Central Michigan to the Motor City), this game is solely for the banner, the trophy, and the rings. This game comes down to two matchups, one strength versus strength, and the other weakness versus weakness. Ohio’s strength is its pass defense and Central Michigan’s strength is its passing offense. If Ohio can shut down the Chippewas passing attack, they can pull off the minor upset. If not, the Chippewas could make this ugly. Central Michigan’s weakness is its pass defense. Fortunately for them, passing the football is not something Ohio does well. Consequently, there is very little chance Ohio runs away with this game. To me this game is a toss up, but I understand why Central Michigan is a three point favorite. If Central Michigan’s passing game is on, they could go up early and cruise to an easy victory. Ohio doesn’t have the firepower to cruise to a victory. If Ohio does manage to win this game it will be close, unless Central Michigan simply implodes and turns the ball over a ton. Prediction: In a close game, I like the Ohio defense to put the clamps (somewhat) on a very good Central Michigan offense. The Bobcats win a defensive struggle. The Best Wake Forest Team Ever? Since my alma mater is in the midst of a special season, I decided to take a look back and see if this is indeed Wake Forest's finest gridiron squadron. So set back and take a stroll down memory lane as I summarize each Wake Forest team that finished with a winning record since 1970. Most Wake fans know the 1970 season as our first and thus far only conference championship. What most fans don't know is that despite being ACC champions, the Demon Deacons were not invited to a bowl game. The ACC as a whole was down in 1970 (sound familiar?) with only North Carolina being invited to participate in postseason play. Wake's schedule strength is fortified by non-conference games against Nebraska (11-0-1), Florida State (7-4), Tennessee (11-1), and Houston (8-3). The ACC was once again down in 1971, but this time the Deacs couldn't take advantage losing several winnable conference games and once again staying home for the holidays. Head coach Cal Stoll did parlay his consecutive winning seasons at Wake into a gig at Minnesota where he lasted for 7 seasons never winning fewer than 4 or more than 7 games. I believe the expression is smoke and mirrors. The Deacons did beat several good teams--Auburn (8-3), Maryland (7-4), and North Carolina (8-3-1). However, take a look at than unbelievable record in close games. The Deacons caught every possible break in 1979 and were rewarded with a trip to the Tangerine Bowl, where they were slaughtered by a mediocre LSU team (7-5). Head coach John Mackovic stayed one more season before seeing the writing on the wall. Al Groh's lone winning record with the Deacs is built on the foundation of three non-DIA wins--Richmond, William and Mary, and Appalachian State. Another down year for the ACC. Only Virginia (8-4) and Clemson (10-2) went bowling. The Deacs couldn't go because they had only 5 D-IA wins. Deacs actually began the season 5-0 before stumbling to the finish line when the schedule toughened up. Another year, another pair of non-DIA wins (and one tie). 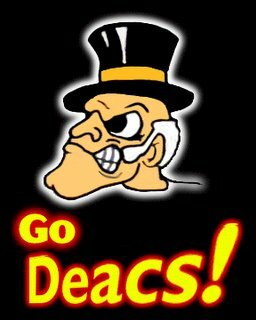 The Deacs lone win over a team with a winning record was against the OBC in his second season at Duke. The story of the 1992 Independence Bowl champions is that they beat the teams they should. No wins against winning teams, but also no losses to teams with losing records. The buzz word for the 1992 season was resiliency. After a 1-3 start, the Deacs rattled off 6 straight wins before succumbing to NC State in the regular season finale. In the bowl game, they fell behind early to Oregon before rebounding for a thrilling 39-35 victory. The 1992 season marked the end of line for one of college football's finest and most underrated coaches, Bill Dooley. 3 winning seasons in 6 years at Wake--not too bad. He also enjoyed success at two other non-traditional (at the time) powers in North Carolina and Virginia Tech. What could have been. Consider this: Wake finished 7-5 in Jim Caldwell's penultimate season, and yet lost to Duke (3-8) and at home to Maryland (5-6). To get bowl eligible, it took a dramatic upset over a top-20 Georgia Tech team on Senior Fifth day. It all ended well though, with a Christmas Day win over Arizona State in the Aloha Classic. Jim Grobe certainly made a difference in his first season at the helm. Fresh off a 2-9 season, the Deacs matched their 2000 win total in the first two games, and seemed to be in every game (9 of 11 were decided by 7 points or fewer and 10 of 11 were decided by 10 points or less). Best moment of the season? Either the first win in Charlottesville since 1981 or the comeback win over a Tar Heel team with Julius Peppers. More of the same for Grobe in his second season. No terrible losses, as all of them came to teams with winning records, and lots of close games. Beat a pretty good Oregon team in the Seattle Bowl to boot. Is this the best Wake Forest team? Do Pi Phi's like to party? This is far and away the best Wake Forest team. They are aided by a relatively soft schedule and unblemished record in close games, but their point differential is legit. Wake's other good teams never had a point differential larger than 57 and usually (with the exception of 2001 and 2002--also Grobe-coached teams) blew games to teams that finished with losing records. Oh yeah, and let's not forget that 6-0 road record. Regardless of what happens in Jacksonville or in the bowl game, this is the best team in Wake's storied history. Saturday evening on the plains of Iowa, a quality coach most fans wouldn't recognize quietly went out a winner to cap a disappointing season. Iowa State upset the Missouri Tigers 21-16 to send Dan McCarney out on a positive note. The second year in a row that a coach that reinvigorated a program has salvaged a season with an upset of Missouri. McCarney resigned earlier this season as the Cyclones were in the midst of a sour 4-8 campaign. However, after the game, you would have thought the Cyclones had won the national championship. McCarney was carried off the field by his players in a manner befitting a man who has done so much for the Iowa State program. You won't find his name at the top of the career wins list (he only has 56) and you won't be awed by his spiffy winning percentage (.397), but that should not diminish what he has accomplished in Ames. In McCarney's 12 seasons at Iowa State, his teams have a combined record of 56-85 (.397). By itself that is not terribly impressive. But consider in the 12 seasons before McCarney's arrival the Cyclones were a combined 45-82-5 (.360) with just 2 winning seasons, no bowl appearances, and a winless season just before McCarney took over. 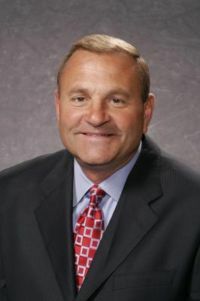 It took McCarney a while to raise the program as they Cyclones never won more than 4 games during his first 5 seasons. But in season 6 the Cyclones turned the corner. Over the next 7 years, Iowa State would win at least 7 games 5 times, participate in 5 bowl games (winning 2), and tie for the Big 12 North title (2004). This tie gave the Cyclones their first championship (co or otherwise) since the Taft administration (1912). And what about that little rivalry game against Iowa? When McCarney arrived in 1995, the Cyclones had not beaten the Hawkeyes since 1982. McCarney lost his first 4 contests to the in-state rivals, but rebounded to lead his team to 6 wins in the last 8 games in the series. His first victory over Iowa in 1998 was probably the most special since it was their first win in the series since 1982 and the last time he would coach against the legendary Hayden Fry. With all due respect to Rutgers and Wake Forest, there is another outstanding turnaround taking place that has gone way under the radar. Deep in the heart of Texas--Houston to be exact. There, the Rice Owls under first year coach Todd Graham have reeled off 4 victories in a row (3 on the road) to even their record at 5-5. With two home games remaining against East Carolina and Southern Methodist, the Owls have a real chance at becoming bowl-eligible--a feat that two months ago would have seemed impossible. Here's a short list of the obstacles Graham faced in his first year at the helm. 1) Rice is the second smallest Division IA football school behind only the University of Tulsa. 2) In the past 2 decades, Rice has had exactly 5 winning seasons--a pair of 6-5 and 7-4 campaigns, and one 8-4 year in 2001. In that same time frame, they've won 3 or fewer games 7 times. 3) Under their former coach Ken Hatfield, Rice ran an option attack to compensate for their disparity in talent. Under Graham, the Owls have switched to a more traditional pass-oriented offense, something that usually takes a few seasons to integrate. 4) The Owls were 1-10 last season. 5) This season, the Owls non-conference slate included road games against Florida State and UCLA as well as a neutral (yeah right) site game against Texas. Not surprisingly, the Owls went 0-3 in those games lsing by an average of more than 34 points. What is surprising is that the Owls are 4-2 in conference play and with two games still to go, they could finish in a tie for first in Conference USA's Western Division (Houston has the tiebreaker so they can't play in the title game). The Owl's probably aren't as good as their record since 3 of their last 4 wins have come by 6 points or fewer, but that's a small quibble. So let's take a moment and appreciate what Todd Graham has done and pull for the Owls to make their first bowl appearance since the 1961 Bluebonnet Bowl. And one last thing. 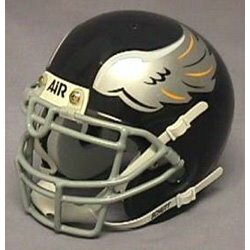 You gotta love these Philadelphia Eagles lookalike helmets. Several months ago I blogged about winning close games. The results show that a team's record in close games is not consistent from year to year. There does not seem to be an ability to win close games that carries over from season to season. However, there is another side to that coin, or more specifically two other sides (if that makes any sense). Do teams in a given season possess a certain ability to win close games for that year? To answer this question I perfromed two seperate regression analyses. The first regression analysis involved seperating the 2005 season into two halves. The first half was each team's record in the first half of its schedule. The second half is the teams record in the second half of its schedule. If a team played an odd number of games, I included the extra game in the teams first half. For example, if a team played 11 games, the first half would be games 1-6 and the second half would be games 7-11. I then looked at every Division IA team's record in the first half of its schedule. I them compared this winning percentage in close games to the team's winning percentage in close games in the second half of their schedule to see if a team's record in close games in the first half of the schedule has any predictive value for the team's record in close games in the second half. Teams that did not play a close game in either the first or second half of their schedule (or both) were not included. With a sample size of 100 teams, the r squared value for this analysis is .0023. This means that a teams record in close games in the first half of its schedule has almost no value in predicting its record in close games in the second half of its schedule. The second regression analysis involved separating each Division IA team's schedule, but in a slightly different manner. Instead of dividing the schedules into first and second half, I divided the games into even and odd. Game one goes into the odd pile, game two into the even, game three into the odd and so on. I then looked at each team's record in the odd games and compared it to their record in the even games to see if a team's record in close odd games was of any use in predicting its record in close even games. Teams that did not play a close game in either any odd or even games (or any at all) were excluded. With a sample size of 106, the r squared value for this analysis is .0007. This means that a teams record in close games in odd games has no value in predicting its record in close games in even games. There is no ability to win close games (at least not in college football) whether it is across seasons or within seasons. Close games are like coin flips. Its not uncommon to get 3 or 4 head tosses in a row, but eventually things will even out and a few tails will be come up consecutively. Rutgers is pretty much a lock to cover the 7 point spread against Louisville tomorrow, and will probably win the game outright. Here's Louisville's home/road splits since 2003. At home Louisville has been nigh-invulnerable going 20-1 in nearly 4 seasons. On the road they have been a different team, albeit one that still sports a stellar 16-5 record. 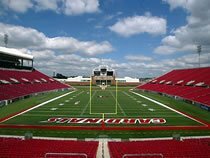 At home, Louisville has played only one nail-biter--the game against Cincinnati earlier this season. On the road, Louisville has had 7 games comes down to the wire. Things do appear to be changing this season as Louisville has actually been more impressive on the road. Ah, but check the schedule. Every home game this season has been against a team that currently sports a winning record. The best team they have played on the road was a mediocre Kansas State team. Their road slate also includes a date against Temple (a 62-0 thrashing that skews the data). Against teams with winning records at home, Louisville is 7-1 since 2003. Against winning teams on the road, Louisville is only 3-4, with 2 of the wins coming this season against Kansas State and Middle Tennessee State. And what ofheir most famous road setback? That South Florida team was only 6-6. Baylor, Vanderbilt, and Wake Forest have a lot in common on the gridiron. They are all private schools in big time conferences. 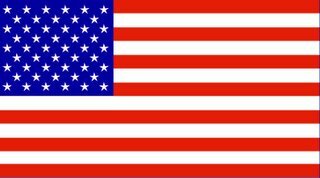 They are all located in the southern part of the United States. They all have very little history of success in football. And most importantly, they each have a quality head coach in various stages of rebuilding and reinvigorating their once struggling programs. While Wake Forest, and by extension Jim Grobe, has gotten most of the exposure (and rightfully so) thanks to their 8-1 start, don't sleep on Guy Morriss at Baylor and Bobby Johnson at Vanderbilt. I decided to see how the fortunes of each program has changed since the new men arrived on the scene. Grobe is currently in his 6th season at Wake, Johnson in his 5th at Vandym and Morriss in his 4th at Baylor. This post will compare each coaches' record at his respective school in several areas against the school's same record in those areas in the coaches' preceding years. 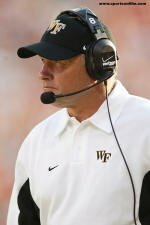 Since Grobe is in his sixth season at Wake, his record will be compared to the previous six seasons before his arrival. In the same vein we'll look at the previous 5 before Johnson's arrival at Vandy and the previous four at Baylor for Guy Morriss. First up, Jim Grobe. Grobe's resume is very impressive. The one stat that really jumps out at me is the blowout losses. In his nearly 6 seasons at the helm, the Demon Deacons have suffered only 6 losses by 20 or more points. In Jim Caldwell's final season (2000), the Deacons suffered 5 such defeats. The Commodores' improvement hasn't been as dramatic, but anyone who has watched a Vandy game the past two seasons knows they are much more competitive. Johnson already has 50% more conference victories, and he still has two more chances to get win number 7 this year. The blowout losses are also down and who can forget the dramatic victory over Tennessee last season for the first time since what seems like Reconstruction. The 'Dores haven't made it to a bowl game yet, but they'll get to one either in 2007 or 2008. Look out for exciting sophomore quarterback Chris Nickson, who has been quietly improving since opening the season in the Big House. In conference play, Morris has certainly been the miracle worker. The Bears have won twice as many road conference games (2) in Morris' tenure as total conference games in the four seasons before his arrial. Those two road wins are also the only two road victories in the Bears' nearly 11 seasons in the Big XII. This season, the Bears implemented a new Texas Tech-lite offense and after some early struggles (21.2 points per in the first five games) the Bears offense has come of age (28.6 points per in the last five). The Bears also have the pieces to be a bowl team in the near future if they catch a few breaks. For schools like Wake, Vandy, and Baylor, there is a such thing as a moral victory. As a Wake fan, even when we were busy going 4-7 the past two seasons, it was still better than being slaughtered in half our games as was often the case in the mid 1990's. Consistently winning 8-9 games is not the goal, nor should it be at these schools. The goal should be playing competitive football (as all three schools have been) and every few seasons being in position to go to a bowl game and possibly more, as is the case for Wake Forest this season.